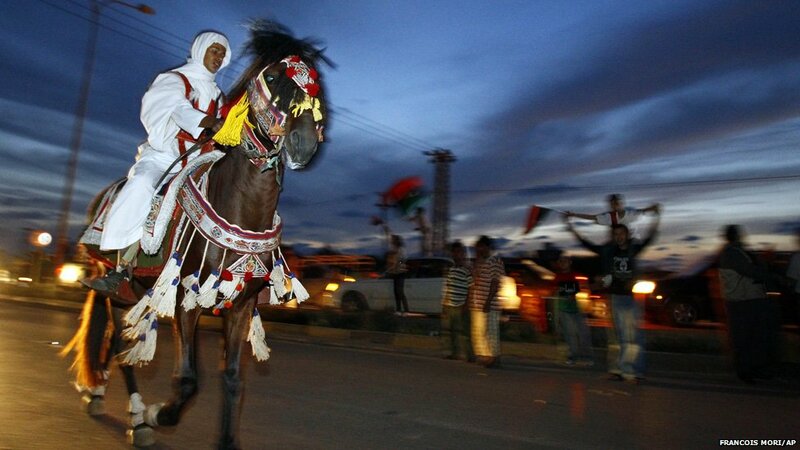 Residents of Benghazi celebrated victory over Libya's former leader Muammar Gaddafi and on Sunday the transitional government declared national liberation before a jubilant crowd. New Zealand were crowned rugby world champions for the first time in 24 years after squeezing past an inspired France team by a single point. 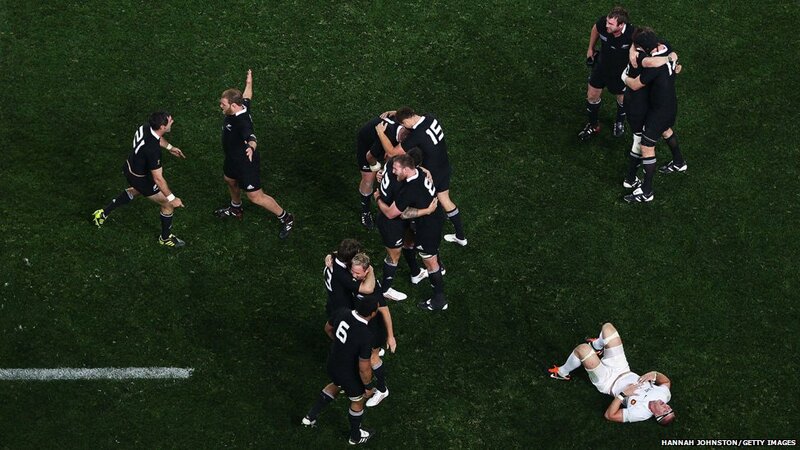 The final whistle triggered scenes of wild jubilation at Eden Park as a nation celebrated a repeat of the outcome from the very first World Cup final in 1987. 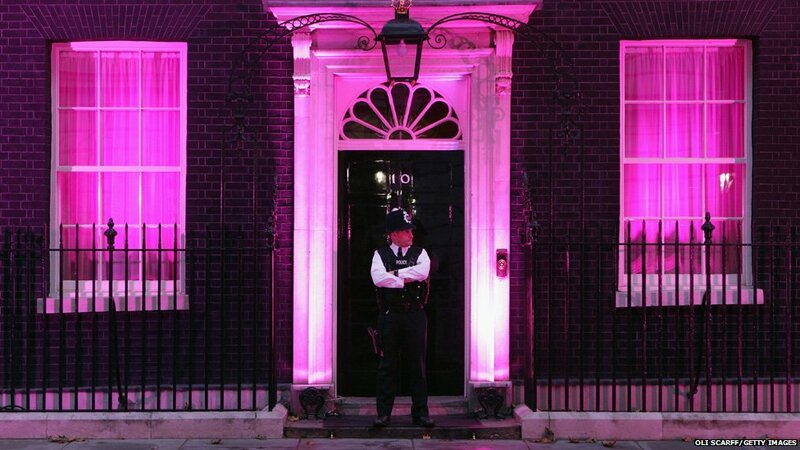 A police officer stands in front of 10 Downing Street which is illuminated in a pink light in support of Breast Cancer Awareness Month, London, England. Rescue workers carried Azra Karaduman, a two-week-old baby, who was pulled from the debris of the earthquake in Ercis in Turkey. The Turkish government pledged more aid to thousands of people affected by Sunday's deadly earthquake. Family members of Saudi Crown Prince Sultan bin Abdulaziz al-Saud, who died in America on Saturday, performed final prayers at his grave at Al Oud cemetery in Riyadh. Actress Keira Knightly attended the press Premiere of A Dangerous Method at the 55th BFI London Film Festival at Odeon West End. EU leaders gathered for marathon talks in Brussels to attempt to solve the region's huge debt crisis. 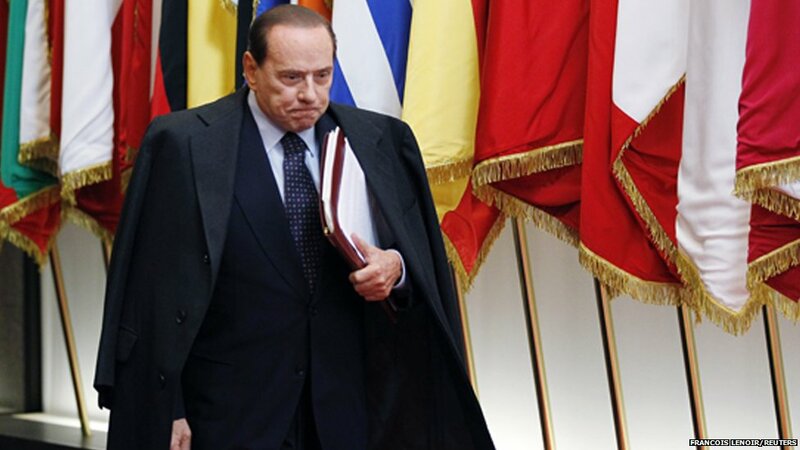 Italian Prime Minister Silvio Berlusconi pledged to balance his country's budgets and implement reforms to bring down its 1.9tn-euro debt. 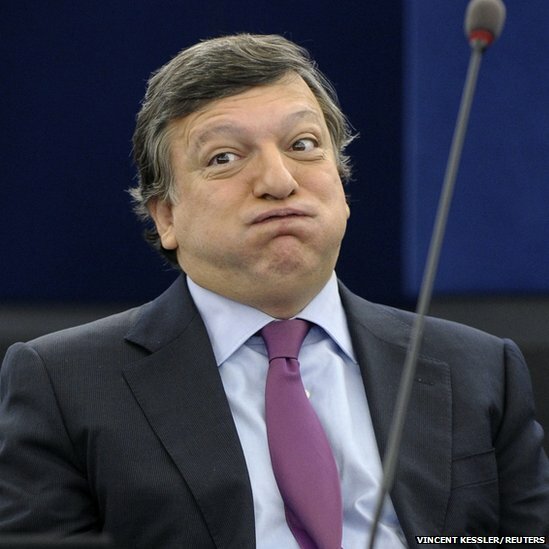 European Commission President Jose Manuel Barroso said Europe has moved closer to solving the eurozone debt crisis, as an agreement was reached in Brussels. Addressing the European Parliament in Strasbourg, Mr Barroso said the deal showed the EU could unite in the most difficult of times. 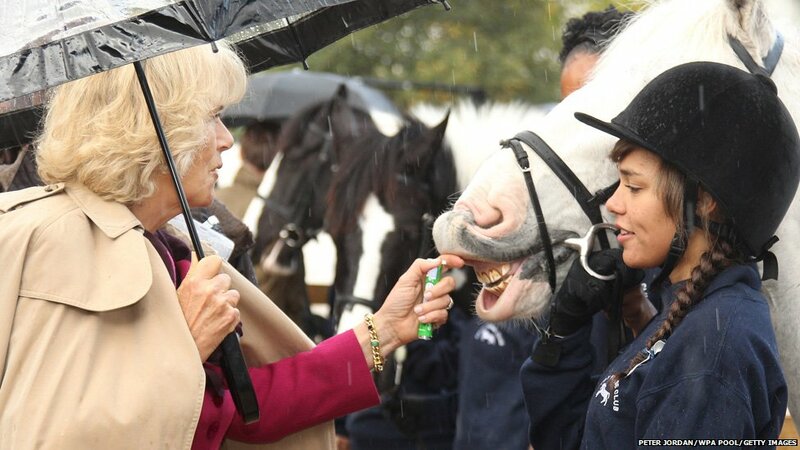 The Duchess of Cornwall met young riders and their horses during her visit to open Ebony Horse Club in Brixton, south London. Afghan girls attend a class on how to read verses of the Koran in a mosque in Kabul. 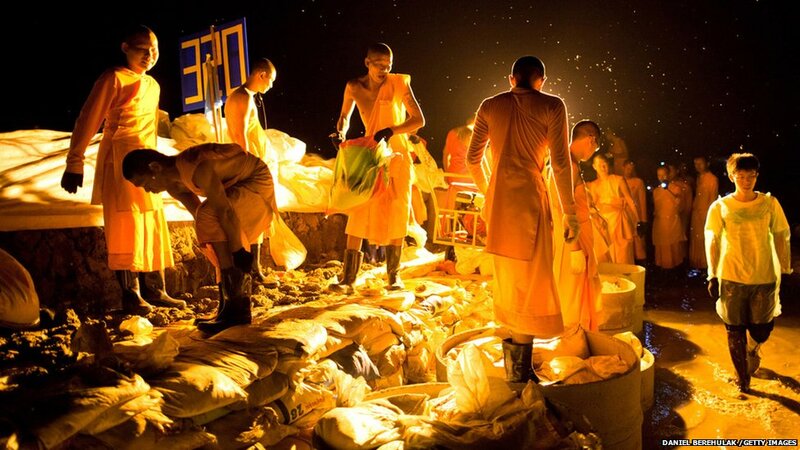 Dhammakaya monks and volunteers worked to fortify the flood gate and barrage, made of sandbags and pipes, at Klong Rapi Pat in Klong Luang on the outskirts of Bangkok, Thailand. Thousands of residents left the Thai capital which is braced for potentially severe flooding over the weekend. 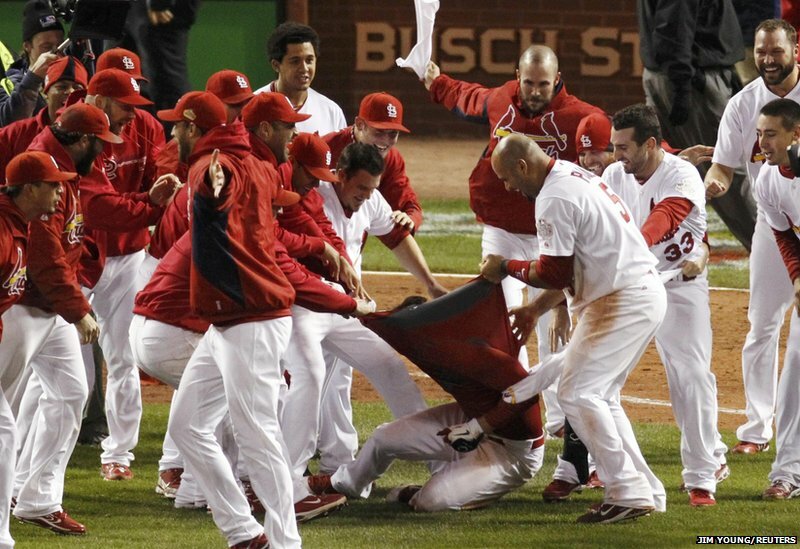 St Louis Cardinals' David Freese had his jersey ripped off by team-mates after hitting the game winning home run against the Texas Rangers during the MLB's World Series baseball championship in St Louis, Missouri.